My 2-year-old nephew had never participated in an Easter egg hunt. So naturally at this year’s festivities, we set up a hunt exclusively for him, and he had 15 family members there to help. From my family to yours, I hope you had a wonderful Easter. Christ is risen. He has risen indeed! 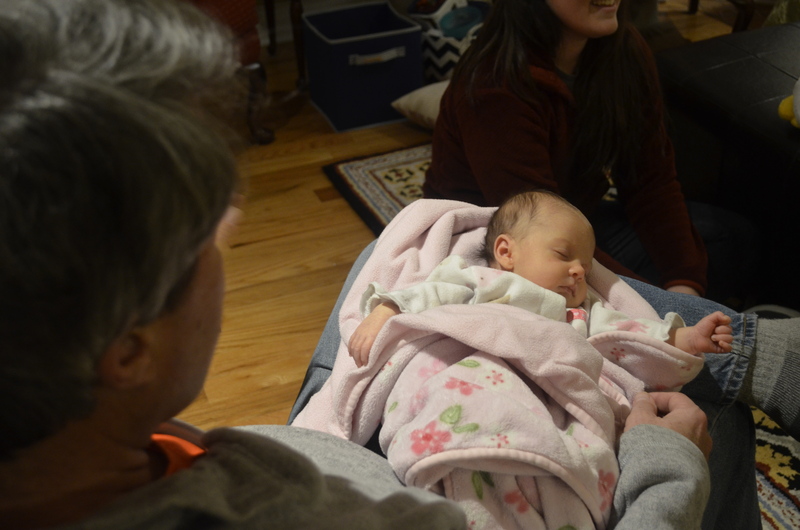 Back in March, my mother and I had the honor of hosting a Sip & See for my sister-in-law Liz and Kate Lily, my niece. 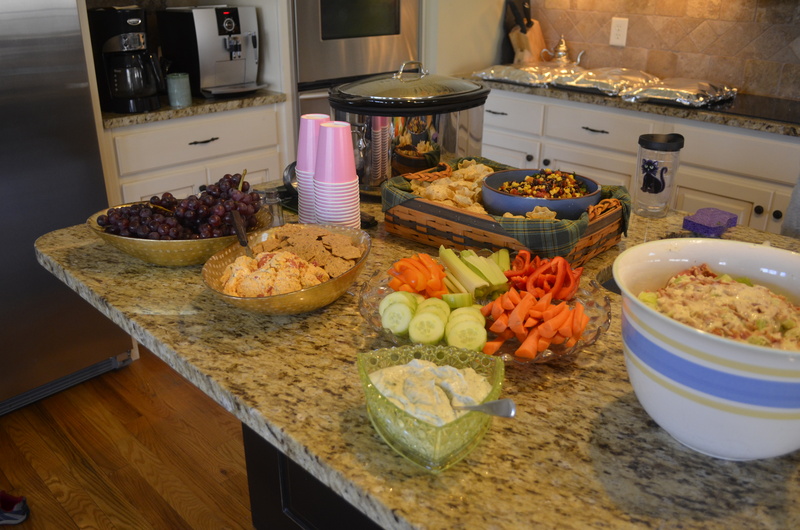 We initially planned to host a baby shower. 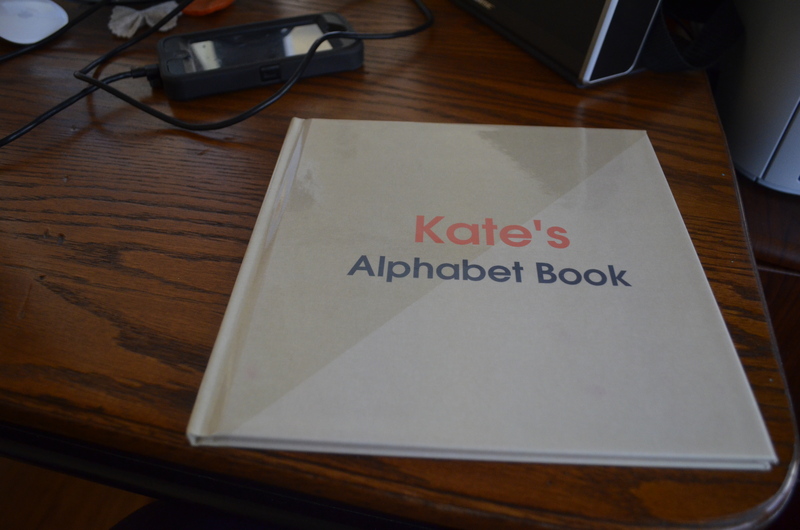 But Kate decided to enter the world 6 weeks early, and plans changed. We chose to keep things simple. 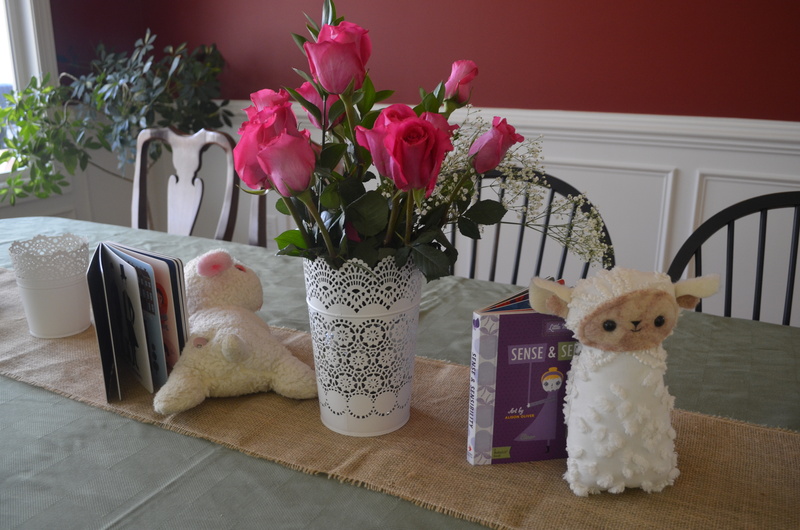 We picked a lamb theme (since they are Liz’s favorite), and made it an open house (meaning boys were invited too). I first heard the term “Sip & See” recently at work. Editors here use the term as a type of meeting, like, “Call down to the test kitchen, and let’s set up a Sip & See before the photo shoot.” A little baffled, I finally asked someone what she meant. A co-worker explained that our office doesn’t use the term in the traditional sense. In reality, a Sip & See is a traditional Southern term for an open house or shower after a baby is born. Traditionally occurring soon after, the mother welcomes people over to her home to “sip” lemonade or punch and “see” the new baby. So let’s start with dessert, shall we? 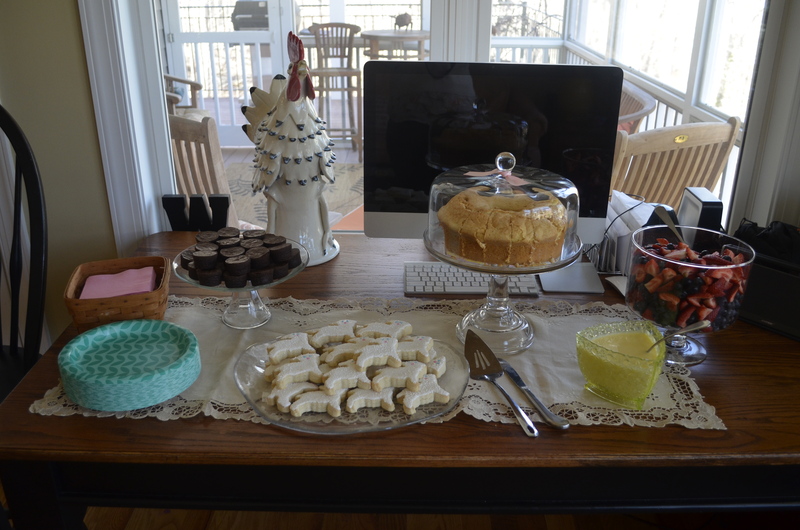 We cleaned up the kitchen desk/workspace and set out brownie bits, sugar cookies and a classic buttermilk poundcake with buttermilk custard and mixed berries. 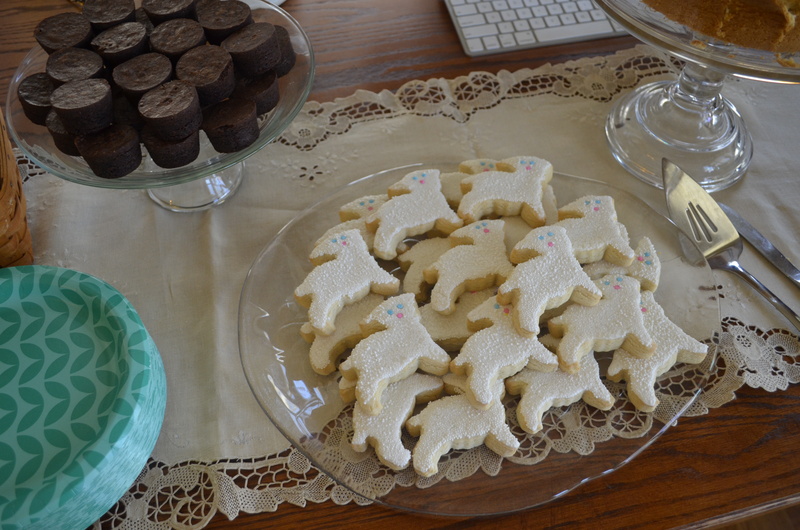 I still can’t get over these lamb sugar cookies for a local Birmingham bakery called Icing on the Cookie. When I first ordered them, I’ll admit, I thought they would be too plain. But this order proves that simplicity can be adorable. They pressed nonpareilles into the icing to create a cool texture. We wanted to create a menu that would be delicious and approachable for both adults and kids since we knew a lot of people were bringing their little ones. So we kept it simple. We made ham & cheese sliders on Hawaiian sweet rolls, pimento cheese with crackers, a layered cornbread salad, and coleslaw. And since the weather was pretty cold the week leading up to the party, I made a Lemon Chicken soup that we placed in the crock pot so it stayed warm through the party. For drinks, I made raspberry lemonade punch, and we had sweet tea and coke products. 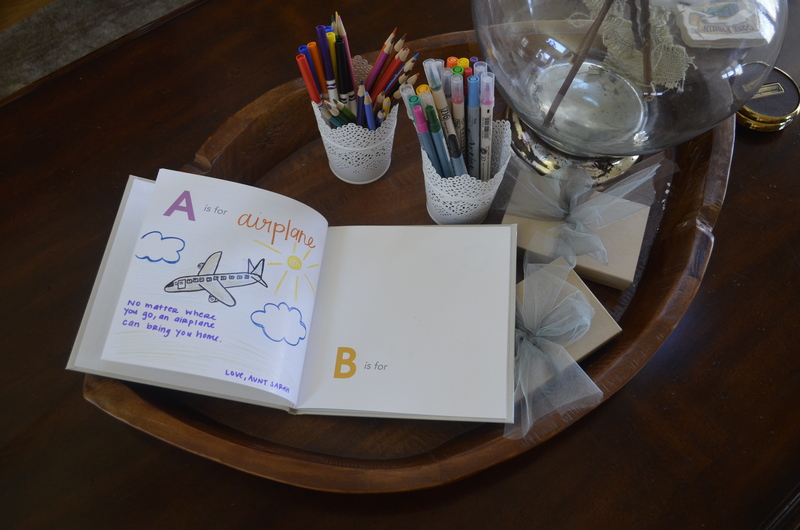 My favorite detail of the party was the guest book I created with the help of Shutterfly.com. 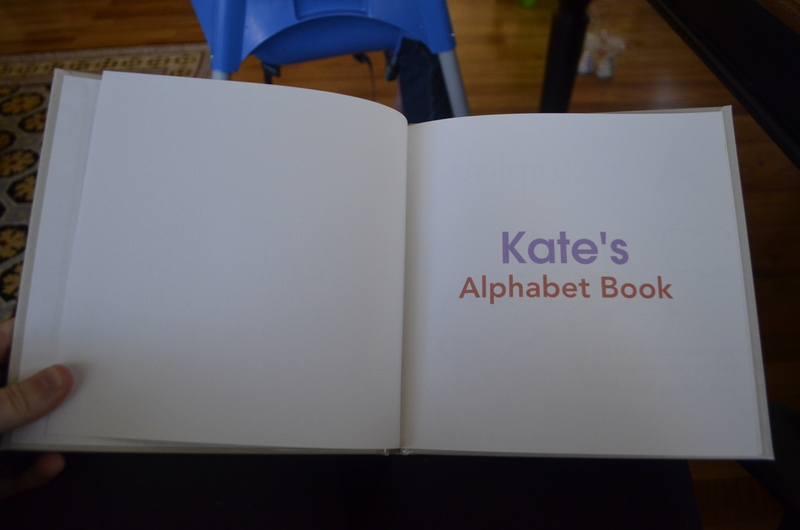 I received a promotion email randomly from World Market one day that offered a free 8 x 8 photo book from Shutterfly, so I created “Kate’s Alphabet Book.” Each page listed a letter or two, and I like the idea that each guest filled in a letter, maybe drew a picture and wrote a note. 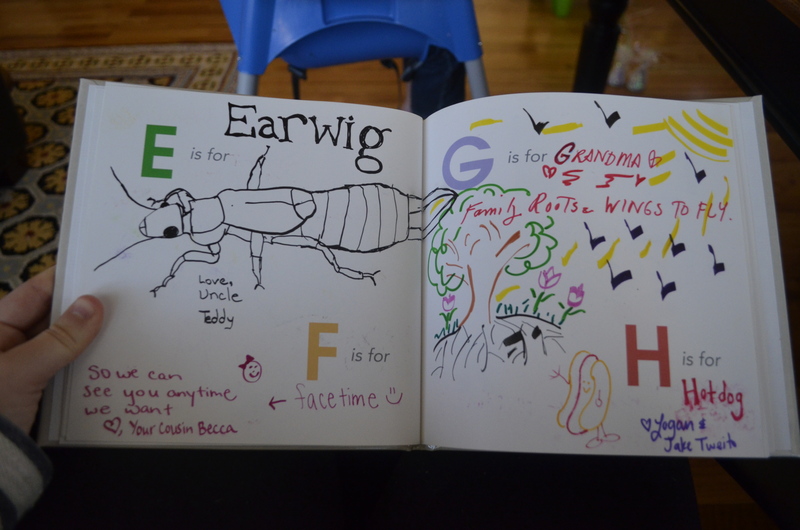 I laid the book out on a coffee table in the center of the room with a bunch of markers and colored pencils. And I filled in the first page as an example (pictured above). Luckily, Kate has a bunch of cousins who were happy to help me fill in any blank pages. Her cousins Faith and Charity contributed the most. 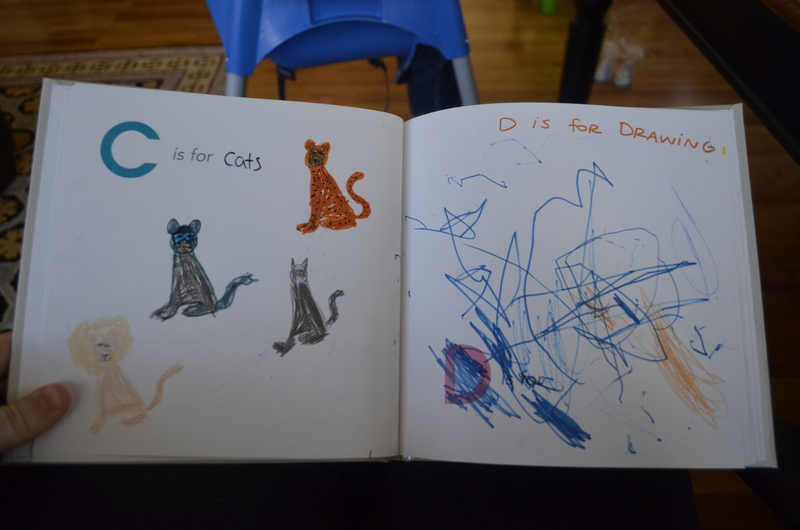 We even had the littlest cousin Isaiah provide some doodles for the letter D.
We also kept the decorations around the house simple. 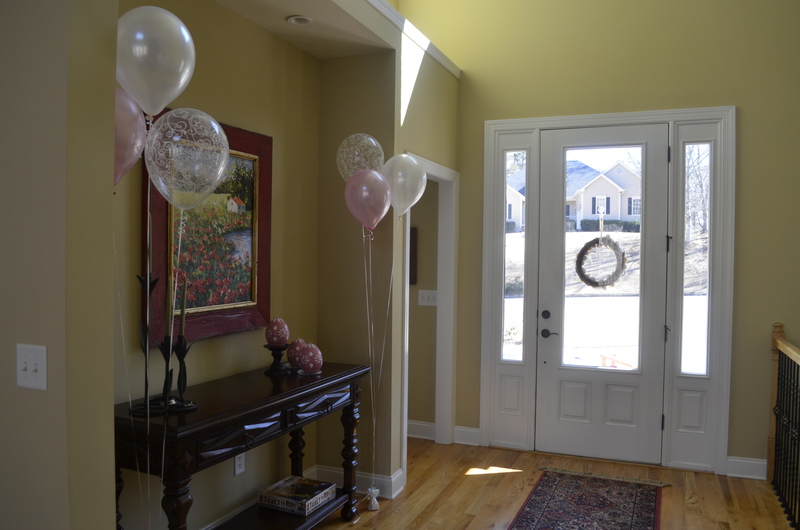 Mom taught me at an early age that a party is not complete without balloons. And I draped ribbon along the fireplace, hung a banner of onesies along the kitchen windows and placed stuffed toy lambs throughout the house. We used a lot of decor that we already owned. I had purchased these white candle holders from Ikea during Christmas. (And though I wanted to fill them with pink tulips, the store was out of them that day, and my dad purchased pink roses instead.) 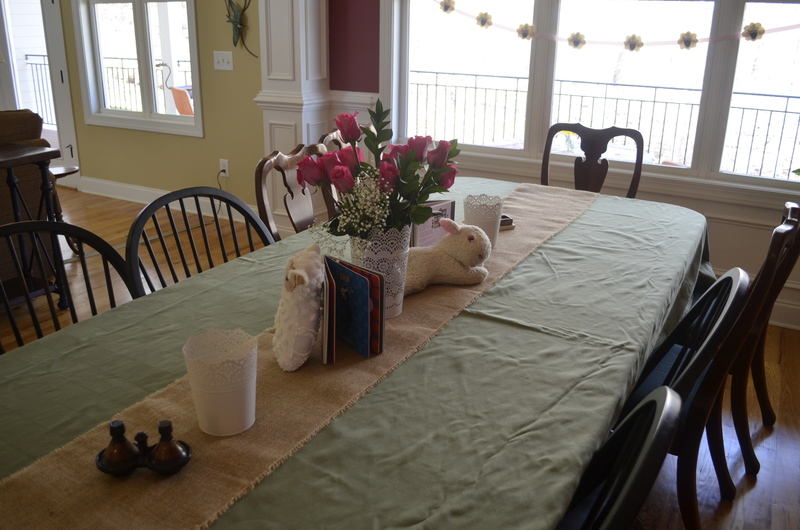 And you might remember the burlap table runner from my Grandma’s 80th birthday party back in December. We had the most spectacular weather on the day of the party, and with so many kids in attendance, most people spent the afternoon outside, snacking on the yummy food and watching the kids run around. But – being a newborn – Kate ended up sleeping through the entire thing! But it didn’t stop anyone from loving on her. I don’t think she was ever set down; she was simply passed from person to person. I mean, come on, she’s the cutest, right! 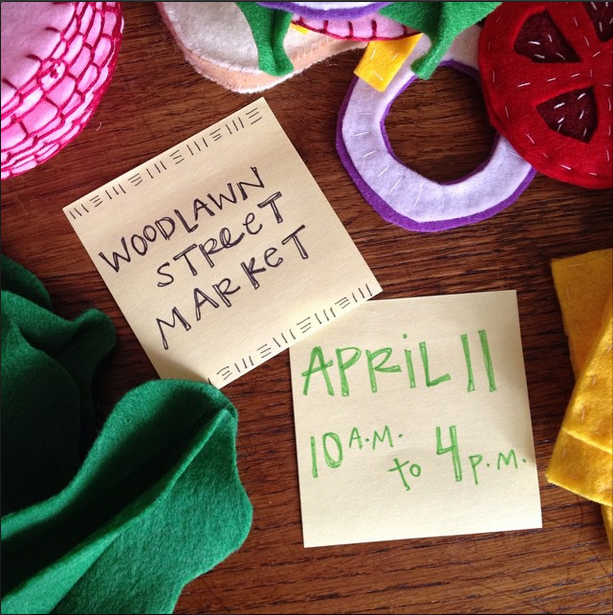 This week, I’m in full production mode as I prepare for the Woodlawn Street Market this Saturday. I’m bringing with me lots of felt food and hopefully (time depending) lots of felt cactuses and (brand new) felt succulents!! So if you’re in Birmingham this week, come by and visit. I would love to meet you and talk shop!